Its been many months from the last time we ventured outside due to family commitments, but after the christmas break we finally made it out. 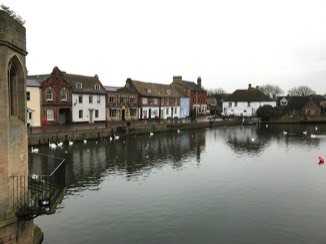 We was going to visit Cambridge but we have been there before so we decided to visit the old coach town of St Ives in Cambridgeshire. Weather was not to good but at least it was warm for change - parking around the town was not to bad about 3 pound for 4 hours . First stop was a nice Cafe in the centre of town where a large full english was wolfed down and then we went to find the river Ouse. 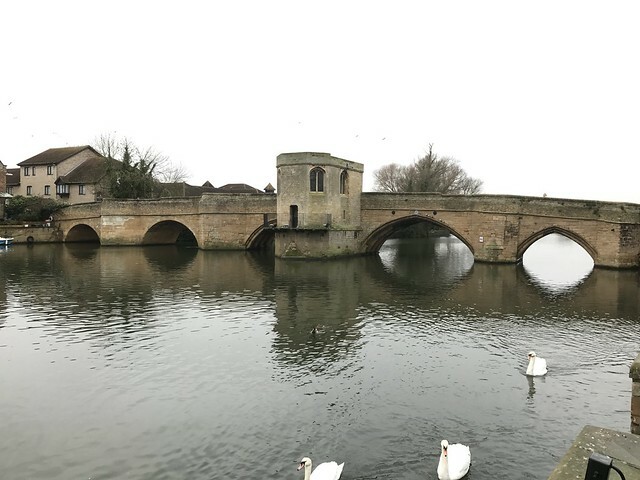 The Stunning St Ives 15th-century bridge crosses the River Great Ouse. It is noted for being one of only four bridges in England to incorporate a chapel in the middle. The chapel was restored in 1930, having previously served as a toll house, inn and as a private residence. It had originally been designed as a chapel, though, and dedicated by the monks to Saint Leger. 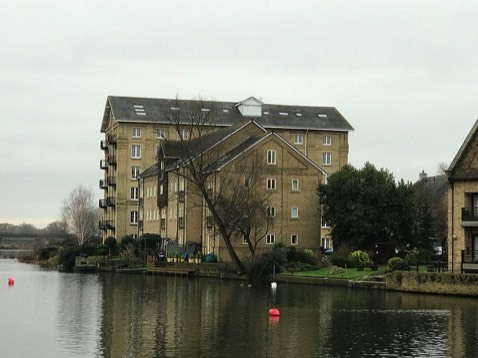 By 1736 it was being used as accommodation, and in that year two extra floors were added. During the 1850s and 1860s it was turned into a notorious public house, then a doctor's surgery. 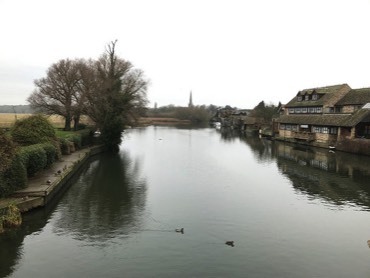 The town is prone to flooding and the river has burst its banks on numerous occasions, nearly 9 million pound has been spent on flood prevention. You can see the huge flood plains that span the town if you take a riverside walk. St Ives being an important Market town supported over 64 public houses in 1838, however this today has dropped to 17. The Royal Oak claims to be dated back to 1502 and is mentioned in Charles II escape from Cromwells Roundheads, Cromwell used to live in the town before he was famous you will find a statue of him in the main square. After renovation the mill is now flats however the building is full of history, it was first a steam driven mill opening in 1854. By 1888 it run into trouble due to cheap imports, in 1972 it was occupied by Sir Clive Sinclair where the first pocket calculators were produced.